Grockit.com, a test-prep website otherwise known as “the new social networking site for learning,” has become an overnight sensation for students as they prepare for their SAT exams. The goal of the site is to make studying for the SAT, ACT, GMAT, GRE, or LSAT “less expensive and more enjoyable” for students by offering three different modes of study: Individual practice, peer group sessions (or a virtual study group), and instructor-led sessions. After creating an account on the site, users can upload a profile picture, complete lesson plans, chat with other users, and compete in educational challenges. Users can also award each other with Grockit Points if they provide tips to other users, and these results are displayed beside their name and photo. (Users can choose to keep their points hidden). For the Grockit Speed Challenge Game, users can invite their friends to the competition to see who answers the most questions correctly in the fastest amount of time. The winner of the competition will receive Grockit points for the challenge, and users can also post their results on Facebook or Twitter. Grockit also offers free live courses which are taught by qualified tutors, and any user can view a tutor’s test scores and ratings on the site. For a fee of $50 an hour, users can hire a tutor who will then audio chat with the student via Skype, and even draw diagrams on a whiteboard to explain certain problems. There is a free section of the site where users can participate in group studies and solo test questions, each of which are customized to the student’s academic level and study needs. There is also a $100 Premium subscription which allows users to gain access to an unlimited number of solo practice questions as well as personalized performance analytics which tracks each user’s progress. 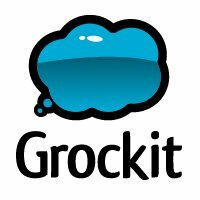 The free version of Grockit.com offers SAT writing diagnostic tests, while the Premium account offers diagnostic tests for writing as well as reading and math. Grockit also recently launched Grockit TV, an “online educational TV network” which produces live and interactive events to be streamed online in HD. Students can enroll in a live Grockit TV course free of charge, and will receive e-mail reminders as well as a link to the upcoming live sessions. Each course takes approximately 20 hours to complete, (16 hours of test prep and four hours of college admissions guidance), and will take place twice a week for a one hour session. Each session will focus on a specific topic, such as admissions, financial aid, athletic recruiting, and of course test prep, and the entire course can be downloaded for $99.99 after it is recorded and archived. Chegg.com not only offers free shipping both ways, after 30 days you can get a full refund for an unopened book, or a 75% refund for a book that you have already used. There are three different types of rental periods: Semester (125 days), Quarter (85 days), and Summer (60 days). If you decide to return a book within 30 days of receiving it they will deduct a $5 shipping fee per book ($10 maximum). This site gathers information from various textbook sites and calculates each price as well as the total shipping amount. Its easy-to-use format helps users compare different textbooks costs, and they also offer product and author reviews. Some textbooks are eligible for a refund if they are returned after 30 days, however this varies depending on the seller. There are also special deals so you can get free shipping. There are no shipping fees, and once you receive your textbook you will be provided with a prepaid UPS shipping label. You can rent your book for the Semester (130 days), Quarter (85 days), or Summer (55 days), but they also offer 15 or 30 day extensions. If you return your textbook within 30 days after you order it you will receive a full refund, and if you want to purchase your textbook after renting it they subtract the rental fee off of the cost. However, if you damage or lose your textbook you will be charged for the full value. This is another site that offers free shipping both ways. You have 10 days to return a book after the due date otherwise you will be charged a minimum fee of $10. You will also receive an e-mail or a textbook message to remind you when your book is due, but beware because if you lose or fail to return your textbook you will be charged 140% of the retail price. Amazon is a great option for students because they are one of the largest book stores on the Internet, and there is also a section where you can sell your new or used textbooks. There is free shipping for any order over $25, and you are allowed to return unopened items after 30 days but you will be charged for shipping. This site is a “free textbook exchange service” so students can connect with each other and trade textbooks free of cost. First you select the school you are enrolled in, (there are over 50 American schools signed up on the site), and then you can search for a textbook by its name, author, or even course title. There are three different types of rental periods, (60 days, 85 days, or 125 days), but if your semester is longer than 125 days you can get a free extension as long as you provide documentation from your college or university. You can return your book after 30 days and get a refund if you include your packing slip, but there is a return fee of $5 per book (maximum of $10). If you rent a textbook and it is not returned on the due date they will extend your rental by 15 days at no cost, but if you don’t return it after the 15 days you will be charged with a replacement fee. You can rent books off this site for 60, 90, or 190 days, and you are provided with a prepaid return label upon delivery. If your textbook is not returned on the given due date you will be charged with a 15 day extension fee and you will be notified via e-mail. If you do not return the book after the 15 day “grace period” or if the book is returned damaged you will be charged for the full list price. This site offers free shipping for anywhere in the U.S., but international shipping costs are approximately $3.97. You can return your books 30 days after purchasing them for a refund, or 45 days if you purchase them internationally, however you will have to pay for shipping. Right now the site is promoting a “Bargain Bin Blowout” which allows users to purchase 5 used books for $15. If you order over $25 in textbooks from this site you will not be charged for shipping, but this does not qualify for rented or used textbooks. You can rent textbooks for 60, 90, or 130 days and you are given the option to extend your rental period if you’re interested. If you don’t return a rental on the given due date they will provide you with a 15 day extension, but if it still isn’t returned after those 15 days they will charge you the full retail price minus the rental cost. The site also offers free return shipping for textbook rentals, and you can get a full refund if you return a book within 21 days of it being delivered to you. Shipping costs approximately $3 depending on where you live and how fast you want it shipped to you, and you will also be given a free UPS return shipping label with your textbook. If your order total is more than $59 you could be eligible for free shipping, and if it is over $250 you can choose a “bill me later” option which allows you to pay for your textbooks within 90 days. If you decide to return your book within 30 days after receiving it you will be charged for shipping along with a 10% restocking fee. Also, if your book is not returned by the given due date you will be charged 20% off the list price, and after a week you will be charged for the full listed price. Unlike other textbook websites, the seller of the textbook decides how long you have to return an item to get a refund. Not only that, some sellers may not accept returns at all so pay close attention to the details provided when you order your textbooks. Shipping costs a minimum of $3.49, but if you buy two or more items from the same seller you can get a shipping discount. This site has a “Free Textbook Giveaway” so students could be eligible to win free textbooks for a year. Items are refundable 30 days after the purchase date, and you can also sell the textbook back to the site if you choose to. If an item is returned “due to customer error” you could be charged a restocking fee of up to 15% of the total price, but if an item is returned “due to seller error” you will get a full refund. Shipping costs for rentals are free, however this depends on how quickly you want your textbooks delivered to you. Formerly known as CencageBrain, this site lets you download the first chapter of the book you ordered for free while you’re waiting for its delivery. There is free shipping for textbook purchase orders over $25, and you can get a full or partial refund 30 days after purchasing your textbook. If you do not return your textbook a week after the due date they will give you an extra week free of charge, and you can extend your rental for up to 130 days. Shipping costs approximately $3.99, and if you damage the book or do not return it a week after the due date you will be charged for the full price. There is a 14-day “Money Back Guarantee” for all used and new textbooks, (but you will have to pay for shipping). Shipping costs $5.95 if you want your textbooks shipped to you within 3-7 days, and you also have the option of choosing the standard shipping of 5-20 days, which costs $3.65 per book. 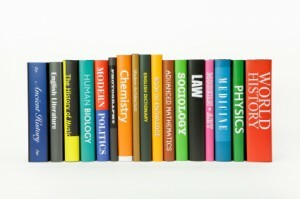 Users can also research the prices of the textbooks they want via text messaging. Standard shipping costs $4.65, but expedited shipping could cost $8.14 or more. There is also a list of items you can get for free if your total purchasing order is more than $57. Heavy books may have additional shipping charges, and if you are not satisfied with the condition of your item you have 60 days to get a refund. When you order a book off this site you will be provided with a prepaid return shipping label, and you are eligible for a full refund if you return the book 10 days after you received it. If you ordered the wrong book and you have to return it, you will be charged a $10 restocking fee. 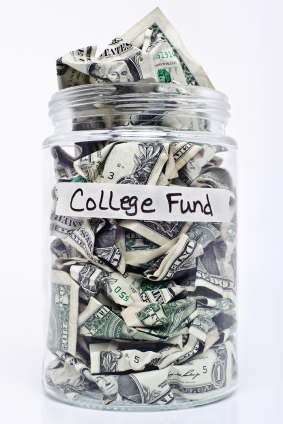 You also have the option of extending your return date by 15 or 30 days, or even a semester. If the book has “minor damage” you will be charged a third of the list price, but if it has “major damage” you will be charged the full price. Although delivery costs can be expensive, you could be eligible to receive coupons codes which you can enter to get free shipping. If you sign up to become a EKeggy member you can get a $5 discount off your textbooks, and they will pay for the shipping if you want to return your book. Shipping costs approximately $2.99, and you can rent textbooks by the semester (125 days), or the summer term (61 days). If you do not return a rental 5 days after its due date you will have to pay a 6% late fee every week until the book is returned. 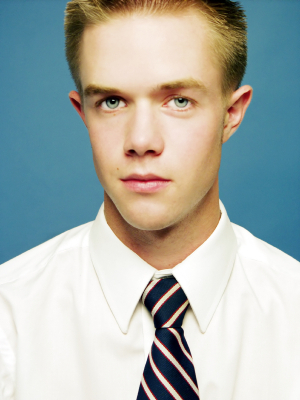 There is little doubt that test preparation can affect your SAT exam scores. 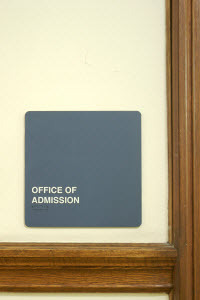 Students seeking admission to the most selective universities have been known to pay significant sums of money for personal tutorials to ensure they are well-prepared for these all-important tests. While it is clear that preparation does matter, those with limited budgets simply cannot afford the costs associated with private tutorial services. But those on a budget should not ignore this important test preparation – they just need to seek out the most cost-effective options. First, students should gain access to sample tests. These practice exams help students become acquainted with the format of the tests and the styles of questions being asked. 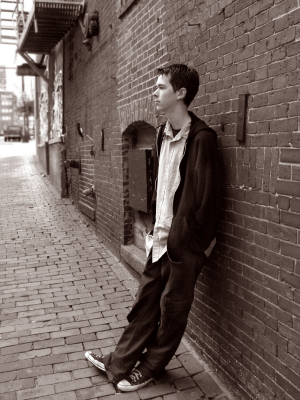 Familiarity is a real key to reducing the overall anxiety that comes with taking such important standardized tests. Students can gain access to one copy of the exam free at the Peterson’s College site. You will need to register and you will be limited to but one sample but it is a great place to start and again the point of emphasis is that the test can be accessed free of charge. Two of the agencies offering private tutorial options have entered the video game market. Students looking for additional test prep practice options can turn to the Princeton Review for My SAT Coach and to Kaplan Test Prep for the game FutureU. The games are from two gaming industry giants, Ubisoft and Aspyr. 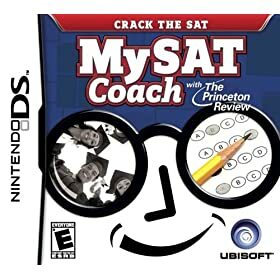 FutureU which is currently available for download to a PC or Mac computer but the My SAT Coach is available only for Ninetendo DS. Both will set the user back about thirty bucks. A standard, cost-effective option that many students and parents swear by is the College Board’s $19.95 “Official SAT Study Guide.” The reason that most find it the item to purchase is the booklet provides four critical elements. The guide first offers a basic tutorial on the test-taking process. Second, it contains a math review of the key topics that students can expect to see. Third, it gives students the chance to practice taking timed tests. Finally, it is similar in format to the real process: it is done without a computer using the traditional pencil and paper format that is a hallmark of the SAT. Other such options do exist. There is the Princeton Review’s Cracking the SAT, Barron’s SAT 2400, Gruber’s Complete SAT Guide, and Kaplan SAT Premier Program. Each works in a similar manner. If students find that they are weak in the vocabulary areas, they can turn to another tech option, a new site called VerbaLearn. While there is no attempt to tie the building of vocabulary to the actual style of testing one faces on the SAT, access is free and the site is designed to prepare students for any nationally-normed test (SAT, ACT, and/or GRE). The key to making this site effective is to spend time on vocabulary building then return to the actual sample tests to determine if you have indeed built your fundamental vocabulary to a more appropriate level. Lastly, there is always the issue of self-motivation. Those with a desire to prepare and an ability to structure their own time will find all of these more cost-effective tools great options to consider. If on the other hand structure isn’t your strongest suit and procrastination an issue, you may well want to consider the test-preparation classes and their related-tutorials. The only issue to remember is that this latter option is the most expensive way to go.